I didn't want to start the review off being coy saying things like, "The latest Marvel movie has been getting great reviews, but will it live up to my hopes?" 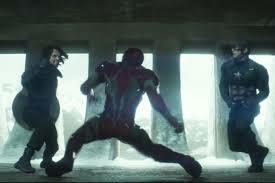 so I just put in the header what I think, and I believe this is one of the best Marvel Movies yet! Now, I don't think I can say it is the best, because I still would probably award that to, "Captain America: The Winter Soldier," which was also directed by the Russo brothers (who Marvel thinks have done great enough work that they will be directing the upcoming, "Avengers," films). This movie though? It easily ties with the first, "Avengers," in terms of quality. 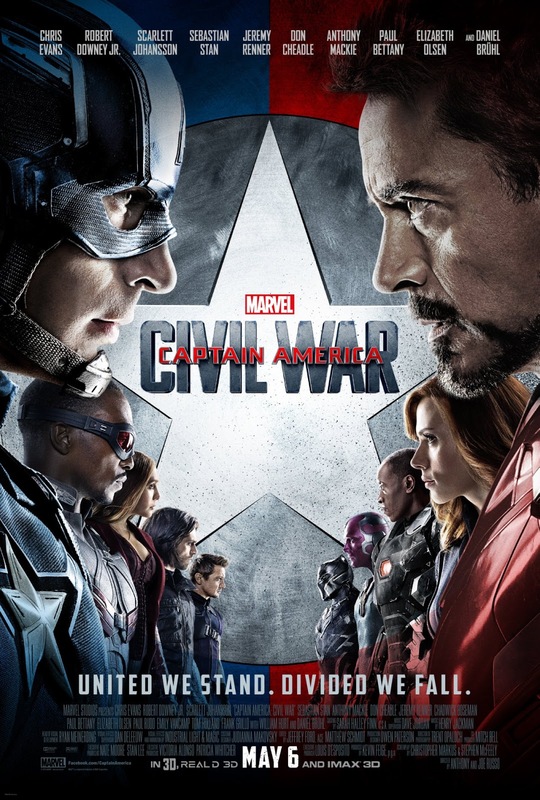 I saw, "Civil War," last night during an evening showing and just want to say it makes me really happy more and more movies now are just doing showings later on Thursdays as opposed to making people wait until midnight to see a movie's premiere. Without spoiling anything that you haven't already seen in the previews (as I said in my title, this is a spoiler-free review, I might do a more spoilery-post later on), I can say this is indeed an action-packed film that works in a ton of characters, yet somehow manages to give them all a solid amount of representation and screen-time. From older favorites like War Machine and Black Widow to newer folk such as Scarlet Witch and Ant-Man, to characters just introduced in this film such as Black Panther and Spider-Man, everyone gets props. Oh, and speaking of Spider-Man, his introduction really works and feels more organic and natural than I expected considering it really is a case of cross-studio synergy (Marvel and Sony, as the latter owns the film-rights to Spider-Man) in an effort to make gobs of money. 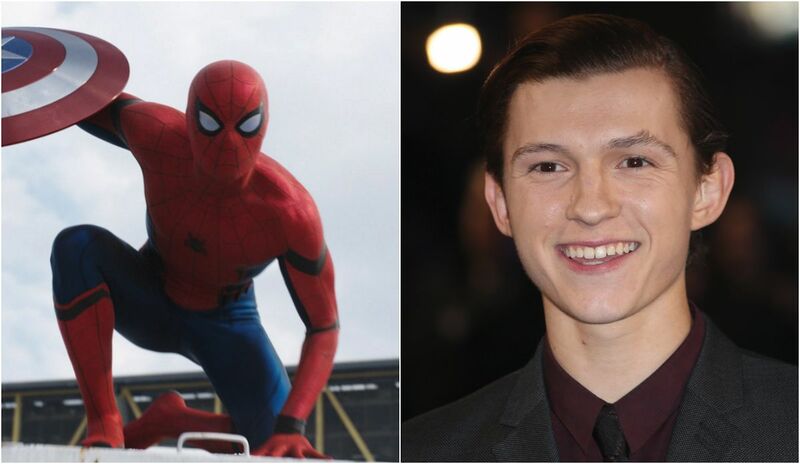 Tom Holland is superb as the latest actor cast as Spider-Man, and if he brings his mixture of excitability and nervousness to his own movie we may have the first Spider-Man jaunt in awhile that isn't mostly a letdown (I'm sorry, "Amazing Spider-Man," flicks and the 3rd movie from the original trilogy, but people just weren't that into you). Yeah, Spider-Man being in this movie definitely helps it as opposed to the fear it could hinder things. Besides the action there is a lot of quiet and touching bits, jokes, and basically the masterful balancing of serious-and-humorous that the Marvel films have been able to pull-off thanks to superb directors, writers, actors, etc. 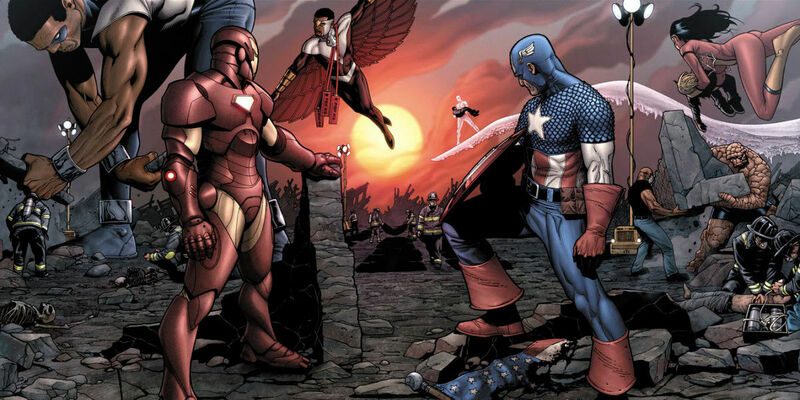 The fighting between Steve Rogers and Tony Stark is just brutal, and a lot of credit for how tragic it feels goes to Chris Evans and Robert Downey Jr. for their continued amazing portrayal of these characters. These two men get the biggest chunk of screen-time, and they really earn it with their acting-chops. Something the Marvel movies seem to have known since the first, "Iron Man," film is that at the end of the day it's all about heart. By having us truly care about these fictional characters and feel for them we really absorb ourselves into the proceedings. Even when the plot gets a little convoluted toward the end the acting-abilities of everyone involved keeps things spectacular. Also, kudos to the movie for throwing in some twists and stunts that haven't been spoiled too much in advertising (unless of course you go looking for spoilers, they've been out there for a bit online). Plus, kudos again to the movie for feeling more like a mostly-complete story as opposed to an effort to just set-up other films. For example, "Age of Ultron," suffered from feeling like it was struggling to tell its own story while simultaneously setting the stage for everything else; this film thankfully only is obvious about its planning-for-the-future during the end-credit bits--as a reminder, if it's a Marvel movie you always want to stay through the entire credits! In Conclusion, See it, See it Now! OH, and the movie is like 10 times better than the mediocre comic it somewhat draws from. 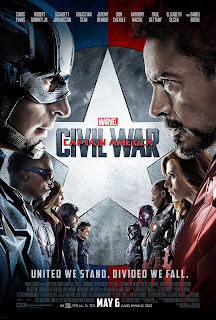 In some ways it is surprising that "Captain America: Civil War," succeeds as much as it does. It has a lot of characters as I mentioned, but spreads them all out well. It has some serious and dark subject matter, but balances it out with some genuinely sweet and/or hilarious moments. It has some forced inter-studio promotion, but it feels as normal and organic as any other hero popping-up in the films. Despite anything that could have worked against the movie, it manages to take these potential downfalls and turn them into positive features. Anything you could worry about is in fact a selling-point, with the only issue being my mentioning of how things do a get a little complicated towards the end. This is an amazing piece of cinema and another feather in Marvel's already-full-of-accolades cap. 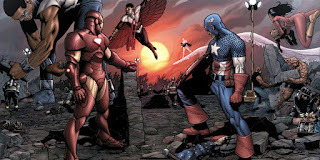 If you're worried that 12 (or so) movies in the whole schtick of the Avengers and the characters who make it up could get old for you, I'm pleased to be able to reassure you that the movies continue to be awesome, and when you go see, "Civil War," you'll walk away impressed. I know I did!